It is generally accepted that integrated marketing efforts outperform plans based on a single tactic in both the overall volume of leads and sales. The key question becomes, “What is the ideal mix of tactics for my industry in general and my business specifically?” To answer that question you need to understand, in as much detail as possible, who you are trying to reach and what their media consumption patterns are so your resources aren’t wasted on the wrong channels. In our experience, you can generally organize tactics into groups based on objectives. 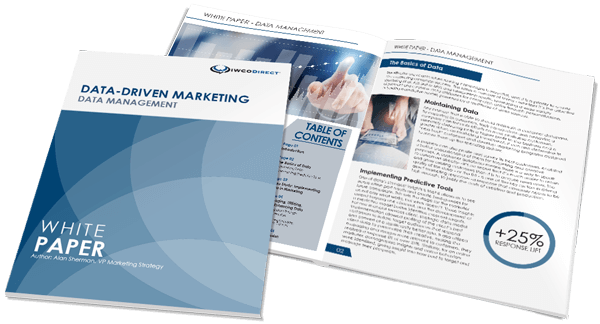 Awareness and brand objectives use mass tactics, while sales or lead generation objectives rely on 1-to-1 tactics. A common media mix often includes a combination of tactics. For example, mass advertising generates awareness and creates or clarifies a brand, while direct marketing tactics capture leads and harvest the interest generated by the mass advertising efforts. The most common direct marketing tactics are direct mail, search engine marketing, shared mail, free standing inserts (FSI) and targeted digital tactics such as search retargeting, targeted social media, site retargeting and email marketing. Some tactics can be used as both lower funnel direct marketing tactics and as mass marketing. For example, display advertising can be bought and triggered to a specific individual or as a mass tactic, as can TV through IP TV technology, or in the way the media is bought and how the creative is developed such as DRTV or DR Radio. It has been our experience that a strong TV campaign will lift the response of direct mail. Similarly, mail will lift the results of digital media. In fact, in many cases, making a digital strategy achieve its maximum potential requires the integration of offline media to generate interest, drive search and create “buzz.” While not part of the advertising mix, public relations can also have a positive impact on a company’s ability to generate awareness for its products and services without the expense of paid media. Synchronizing direct mail with digital efforts in order to ensure that SEM activity and site traffic driven by direct mail is adequately captured and utilized. Deploying digital campaigns targeted to the same recipients of direct mail and to time that deployment based on the delivery date of the direct mail offer. This way we can ensure that a recipient of our direct mail package is also seeing a mix of online channels such as display ads, Facebook promoted posts and targeted display advertising. Evaluating the effectiveness of retargeting efforts to capture and retain a prospect’s interaction online. Over the past three or four years the ability to synchronize offline and online data has grown significantly. It is now possible to develop a model and identify your primary targets based on your most profitable existing customers. You can then deploy a direct mail campaign to the targets most likely to respond and buy, and you can combine that effort with shared mail or FSIs. Follow up on that direct mail campaign with a series of Facebook ads, display ads and potentially even IP delivered television spots. This will ensure that the specific portion of your ideal audience receives your targeted communications. Of course, you may want to expand the reach of your campaign beyond this target group for a variety of reasons, but the level of targeting available today is better than ever before. Maximizing ROI is a result of getting the right message in front of the right customer at the right time using the right media. This can only be done through an integration of offline and online tactics using a synergistic campaign. It’s crucial to know what each tactic offers and how they interrelate with others. This requires testing and analysis to determine the most appropriate marketing mix. If you need help developing the optimal approach to meet your marketing objectives, please contact us. Vice President of Marketing Strategy at IWCO Direct. Graduate of Grand Canyon University. Joining IWCO Direct in 2014, he brings the "plan diligently and act definitively" philosophy to a variety of client campaigns. This father and former Arizona High School Track and Field Regionals discus champion loves stream fishing for trout, rooting for the Los Angeles Dodgers and his three dogs.